At this point in time we are going to aggressively ignore my shameful update schedule and instead focus our energy on other shameful concerns. For example: how did it take me this long to discover buffalo sauce? I have no idea where this came from, but it’s like I got hit with a truck. Just outta nowhere. It’s been rough, guys. I can recognize a buffalo recipe on Pinterest from across the room. I’m obsessed with buffalo covered everything and no one even cares since they’ve already been enjoying their chicken dips and wings since the dawn of time. 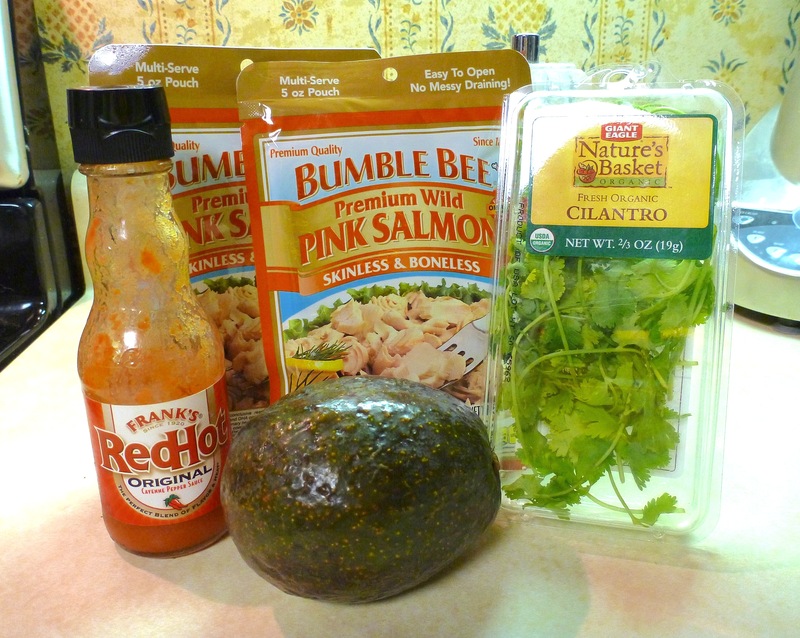 While feverishly trying to incorporate hot sauce into everything I eat, I came across this Salmon & Avocado Salad recipe at The Healthy Foodie . With a few tweaks (aka ADDING MORE HOT SAUCE), I knew it would be an excellent vehicle to help me shovel more buffalo-type stuff in my face. And finally, a savory recipe to share! I eat that stuff, too! Not just cake! Honest! Adding celery was key for me – I think celery legally has to be included with all buffalo dishes? Look, I don’t make the rules. But at least this time we can subtly dice it up and use it to add a little texture and crunch. Cilantro provides an excellent zip and balance for all that creamy avocado, too. This has become a staple in my fridge – I always try and have a batch available. It keeps really well! Avocado: a little TOO photogenic. So what makes this recipe in particular so fantastic? It’s cheap, quick, and easy for starters. (Canned or pouched salmon is almost always wild-caught!) Frankly, those three factors pretty much seal the deal for me, but it’s also – surprise!! – really GOOD FOR YOU. It’s low in carbs, high in fiber, and provides enough healthy, anti-inflammatory fats (don’t fear the fats!) to keep you satiated until the next time you’re trying to figure out how to inhale more buffalo sauce. I forgot the celery PLEASE FORGIVE ME. 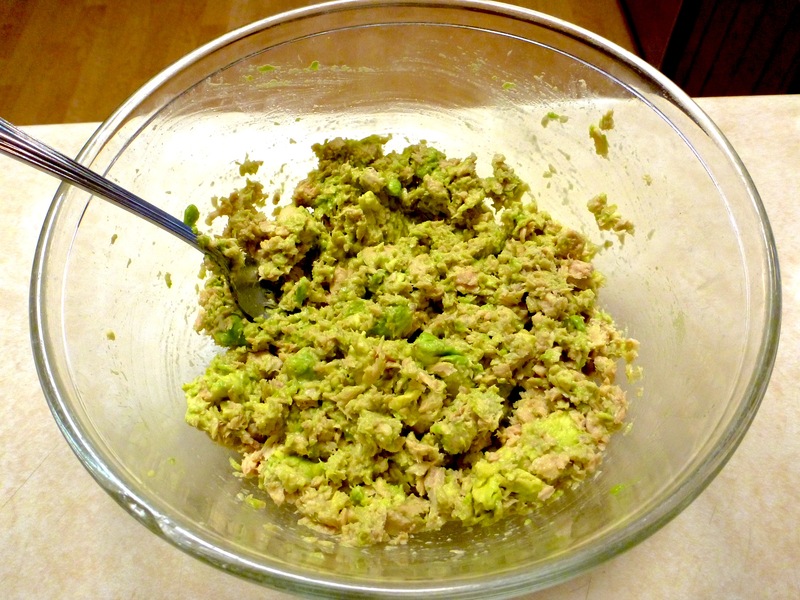 Add the salmon into a bowl, and use a fork to separate it a bit. 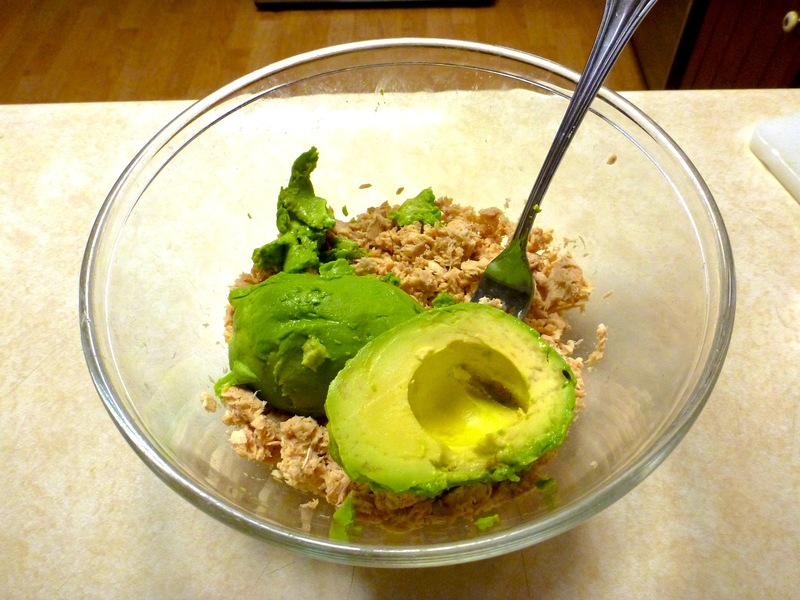 Then, add your avocado and smoosh it all right in there. Then add all remaining ingredients and mix until well combined. Feel free to add whatever other mix-ins or spices tickle your fancy! I like letting it sit in the refrigerator for a bit, so all the flavors can ~*~blend~*~, but you could also just go to town on it. Roll it in nori, put it in a lettuce cup, wrap it, press it into a 1950s jello mold (don’t do that) – whatever you like! Adding the hot sauce does not add to the visual appeal, unfortunately. This would explain the distinct lack of pictures accompanying this recipe. :| My recommendation is to visit the original recipe on The Healthy Foodie and pretend her gorgeous photos are my gorgeous photos.